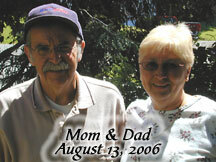 "Had a Dad" Alzheimer's Blog: please vote for Had a Dad Alzheimer's Blog! Another award! Please vote so I can be a finalist! Simple like the page below (the link) on Facebook or +1 on google. Alzheimer's Dad has been nominated to the SeniorHomes.com Best of the Web 2012 in the Best Senior Living Blogs by Individuals category. The Best of the Web 2012 contest highlights the best senior living and caregiving websites, blogs, and resources on the web for consumers and senior living professionals. Your nominee page has been published at http://www.seniorhomes.com/d/alzheimers-dad. The top nominee sites by popular vote will proceed to the round of finalists and will be rated by our panel of expert judges. Final rankings will be decided by the expert panel ratings. In order to become a finalist, we encourage you to promote your website and get the vote out. Spread the word about your nomination by sharing your nominee page with your clients, customers, friends, and fans and asking for their votes. Finalists are determined by popular vote (total Facebook likes and Google +1s), so each person can vote for you twice! Voting ends on March 2, 2012. We recently launched our site to empower patients and caregivers - to facilitate sharing of these important experiences. With your permission we would like to repost your story to provide valuable insight into Alzheimer's. Each post can provide the option to link back to your site. This is a fantastic blog,my uncle is also suffering from Alzheimer's from last three years. Sometimes, he even fails to recognize me,it's so pathetic. His son is thinking of sending him to some retirement home, but I don't want it to happen.